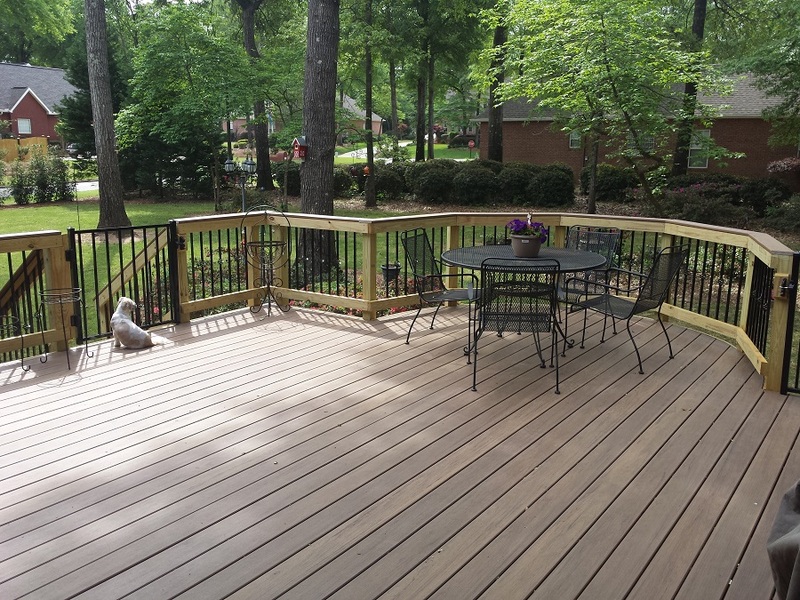 Archadeck of Central GA transformed an aging pressure-treated deck into a spacious low-maintenance oasis of style. The original deck and the new extension was finished with TimberTech Legacy decking in Pecan. Choosing a low-maintenance decking board, such as TimberTech, means the deck will never need to be painted, stained, scraped or power-washed. Nor will it warp, cup, split or rot — leaving more time for enjoyment and less time worrying about maintenance! 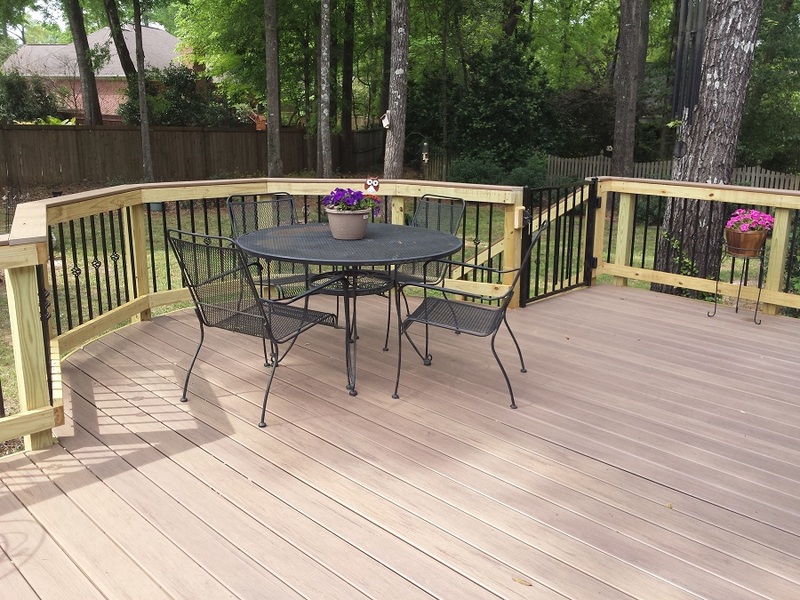 Read more about this project in our blog story This Kathleen, GA, Redecking Project Opens the Gate for Enjoyment! Bear Branch Estates, Beaver Creek, Black Hawke, Cambridge, Candler Park, Cardinal Ridge, Country Estates, Deer Run, Eagles Bluff, Georgian Mill, Greythorne, Harlington Downs, Heathers, Hidden Shores, Hunt Place, Huntington Grove, Kovac Farms, Lake Pointe Plantation, Magnolia Hills, Mallards Landing, Meramac Grove, Moss Oak Plantation, O’Brien Farms, Pembroke, Pleasant View, Royal Oaks, Ruzic’s Rye, Sanford Place, Shady Grove, Smithfield Trace, Somerset, South Pointe, Southern Trace, Spring Trace, The Rydings, Thistlewood, Tyler Ridge, Walkers Grove, White Columns, Wind River, Wooden Eagle Plantation and more! 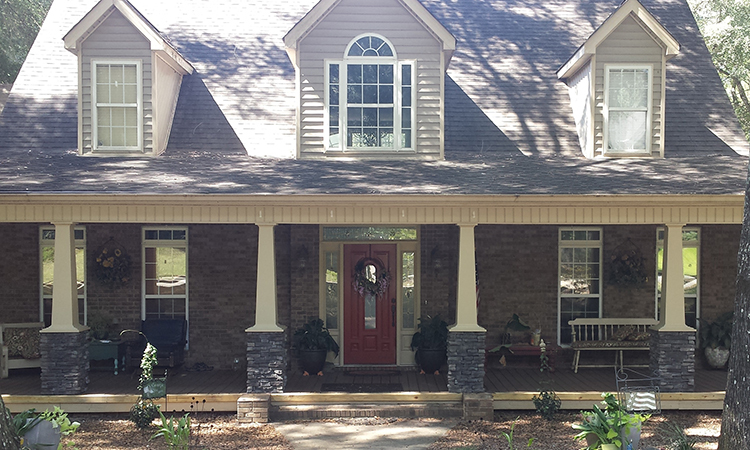 These Kathleen, GA, homeowners wanted craftsman style columns across the front and down the sides of their home. They wanted the base of those columns to be wrapped with cultured stone. 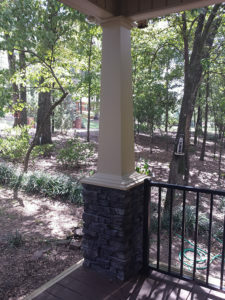 Archadeck of Central GA made their porch more stately and majestic through the additon of 14 new columns. 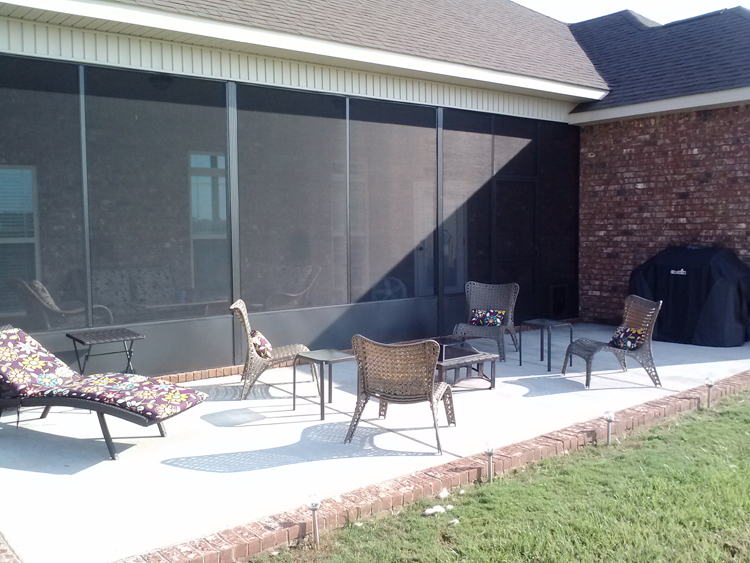 We worked with the owner of a new home in Kathleen, GA, to create a patio to complement her existing Kathleen screened porch. We discussed the possibility of using pavers but we also made sure to make sure she knew that she had other options. Cement is an affordable option and was perfect for this Kathleen patio. Read more in our story The Best Project For Your Budget. We are proud to service Kathleen, GA, and the surrounding area. Our custom outdoor living space designs have been improving local backyards for nearly 27 years. 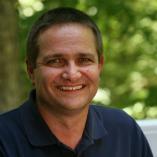 To learn more about enhancing the way you enjoy the outdoors, contact us today at (478) 745-2000. You can also email us or fill out the contact form located at the right of the page.